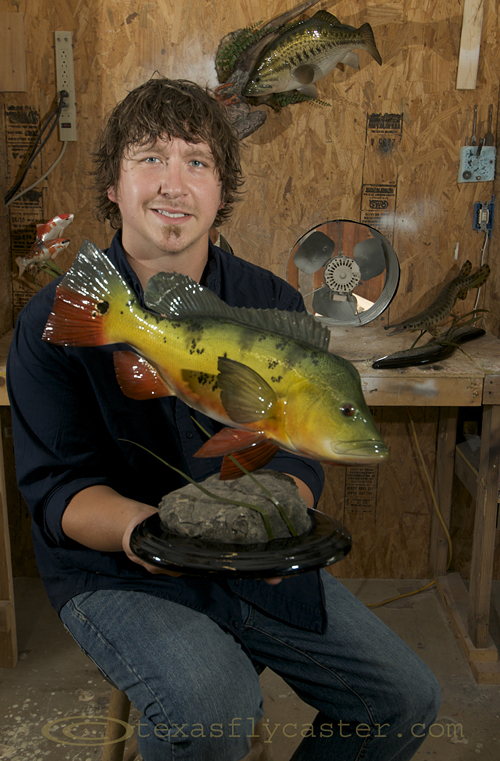 Enjoy Part Two of my story on Josh Kelly, a “Black Knight” in the realm of taxidermy. This is the final part of the story that could be running in the Lone Star Outdoor News on your newsstand right now. Again, we have NO way of knowing here in Denton, unless we read the online version. I like the ink stains on my fingers, so I will wait for my chance to pick one up somewhere in DFW. “I was probably eighteen when I started having my own clients,” and now at twenty-five Ron is sending more clients his way. “I’ve had Josh do several things for me. He does nothing but great work. He gets something done, and I’ve got something else for him. I have had work from other people in the past, and what impresses me the most is the way he can get detail – he just did everything right on,” Eddie Rhodes of Garland, Texas, said. Working from pictures and measurements, Josh was able to create a replica of a peacock bass for Rhodes that he called “exceptional.” “He’s done all kinds of fish for me and right now he’s working on a paca (another variety of peacock bass) for me,” he said. Josh gets requests for a large variety of fish as well, ranging from huge Texas alligator gar to tiny exotic fish. “I did a fish that was an inch long, caught by scuba divers in two-hundred feet of water. 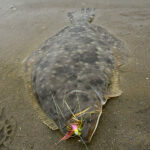 It was an extremely rare fish the size of a paper clip,” Josh said. He plucked a boar hair to do the detail painting on that fish. “That same week I did a nine foot marlin as well,” he said. The main two fish he reproduces are largemouth bass and peacock bass. 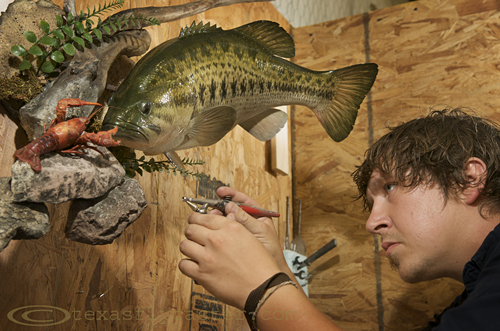 Although Josh has made a splash in the world of fish taxidermy, his Father Ron still gets the calls for the exotic jobs like his upcoming trip to Brazil this week, to mold the newly recognized IGFA world record peacock bass caught in March. “I am going down with Emu Outfitting to mold that fish, and in the past I’ve been to Alaska, Dubai, Mexico and Africa to do our work. Over the years, I’ve done work from all fifty states, ” Ron said. The internet has really opened things up for Josh’s business. “I counted thirty states that I had orders from last year, and I recently did a peacock bass for someone in Cuba,” he said. Josh and Ron try to match the exact fish, with molds in quarter-pound increments. They can also work from photographs to get the coloring, as well as match the unique characteristics on fish – down to the fins being jagged where a piranha may have taken a bite out of it. Their studio has fish molds stored everywhere, with original bass molds up to twenty-two pounds, a world record bluegill of five pounds, and even a five pound crappie. 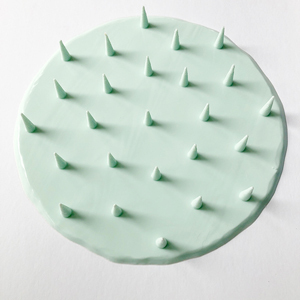 Now they are concentrating on giant alligator gar molds – including rubber mouth molds to duplicate the teeth exactly. Josh’s art isn’t going unnoticed by the taxidermy industry either. 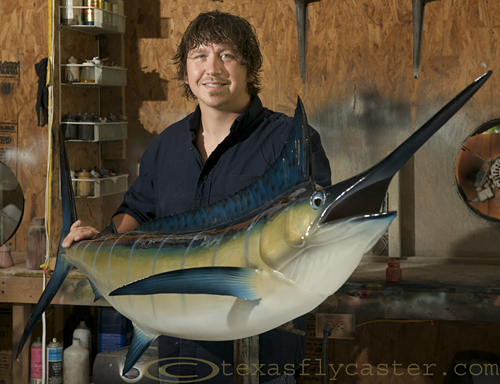 In 2009, he won first place, master level, at the Texas Taxidermy Association show, and in 2009, he won First Place at the national show as well as finishing with a first at the world show – all on the professional level. Josh and Ron’s next competition is in Kerrville, Texas, on July 8 – 11. Josh and Ron work together in Rockwall, Texas, and can be reached at 214-663-5299 and Josh’s web site is www.artisticfishdesigns.com. note – Do you have a trophy hanging on your wall at home, or have you seen a fish hanging somewhere that is interesting to you? 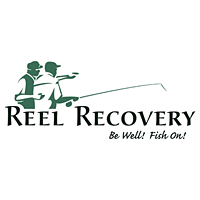 I will be accepting photographs of any wall mount, standing mount … whatever mount, fish on an ongoing basis, and once I have a good number, we are going to create a trophy page of the photographs. IT MUST BE DEAD and replicated – fish of any age and condition (preferably old and decrepit) are invited to apply. I know some of you guys, and you have fish on your walls. I’ve seen them! Send in a photo, don’t worry about the file size or anything, just send them in.